This has been described in England’s The Telegraph newspaper as “The most sizzling hot ticket” in the West End. 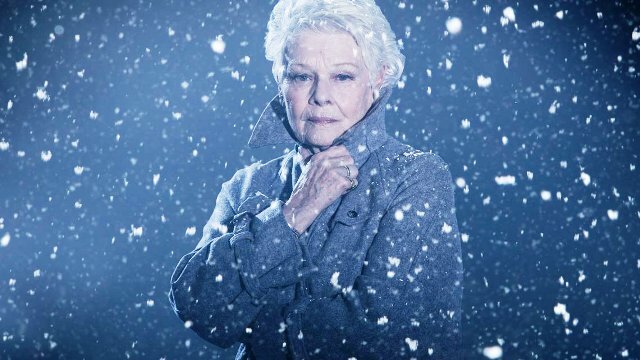 Screening here in limited release, this brilliant rendition of Shakespeare’s The Winter’s Tale is the first of five plays to be performed in London’s Garrick Theatre by Kenneth Branagh’s new theatre company. It is co-directed by Branagh and Rob Ashford, presumably because of the success of their previous collaboration on The National Theatre’s production of Macbeth. Australian audiences are in for a treat as this filmed play comes hot on the heels of the English theatrical season, which only finished in the U.K. on 16 January. Referred to by some critics as one of Shakespeare’s “problem plays” because the first three acts depict a psychological drama while the last two acts are comedic and come replete with a happy ending, the work is an intense study in obsession and redemption. An extended get-together between two old friends, Leontes, the King of Sicily (Kenneth Branagh) and Polixenes, the King of Bohemia (Hadley Fraser), ends in disaster when Leontes suffers an insane bout of jealousy and accuses his pregnant wife Hermione (Miranda Raison), of having an affair with his childhood pal. Refusing to listen to the counsel of his courtiers, including that of Paulina (Judi Dench), a revered elder, Leontes throws the Queen in prison and makes plans to poison Polixenes. In the manner of all good Shakespearean plots, things get very complicated when Polixenes escapes to Bohemia and Hermione’s new-born daughter Perdita (played as an adult by Jessie Buckley) is banished there as well, although this is unknown to the Bohemian King. Sixteen years later, after much drama, subterfuge and passion, the whole gang is reunited back in Sicily where they are witness to a miraculous event… perhaps. As with many modern Shakespearean productions, this interpretation is a delight. The Set and Costume Design by Christopher Oram and the Lighting Design by Neil Austin serve to enhance the locations and period admirably and the performances are simply riveting. Branagh has the audience in the palms of his hands as he twists and turns in the grip of Leontes’ obsessive fantasy and his world falls apart around him, while Dench’s Paulina is profoundly affecting as a woman caught between her love of both the King and his Queen. These are wordy roles but the two veteran actors have no trouble bringing Shakespeare’s verbose characters to life. As in many of the Bard’s works, we are privy to how an error of judgement has a profound effect on the many others who swim in the protagonist’s wake, caught up in a web of suspicion that only serves to destroy their lives. If you want to experience a fine night at the theatre without having to catch a plane to Europe, then this production of The Winter’s Tale, and I suspect the others in the season, is not to be missed.